Custom single story residence, situated on an elevated lot boasting panoramic canyon, golf and ocean views. 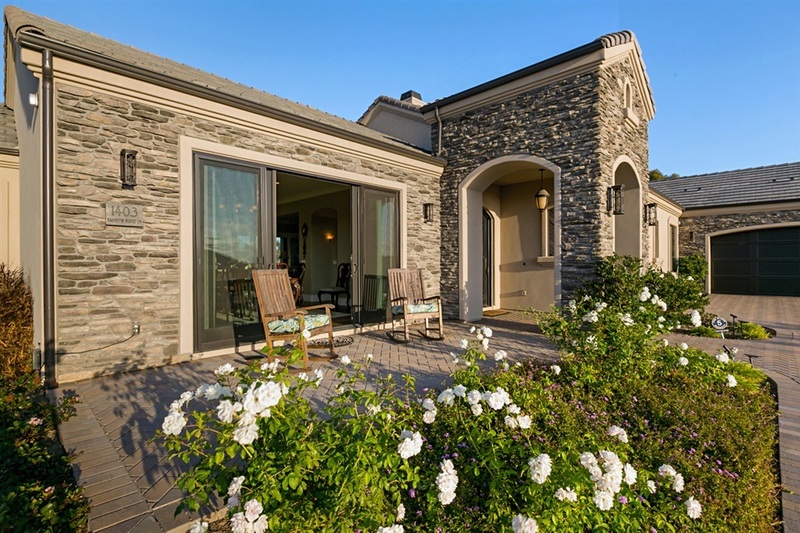 The many features of this property present a dream home of distinction, quality, luxury & comfort. 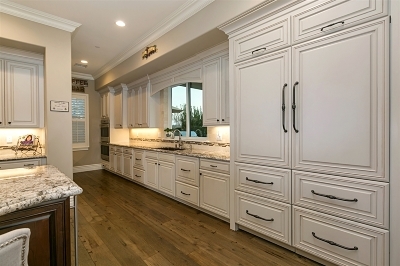 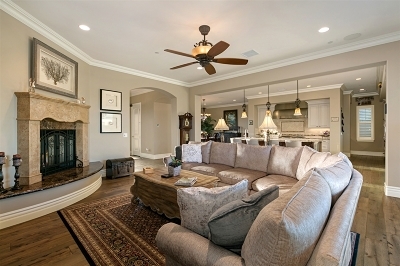 Elegant craftsmanship is evidenced throughout this McCullough Design & Development. 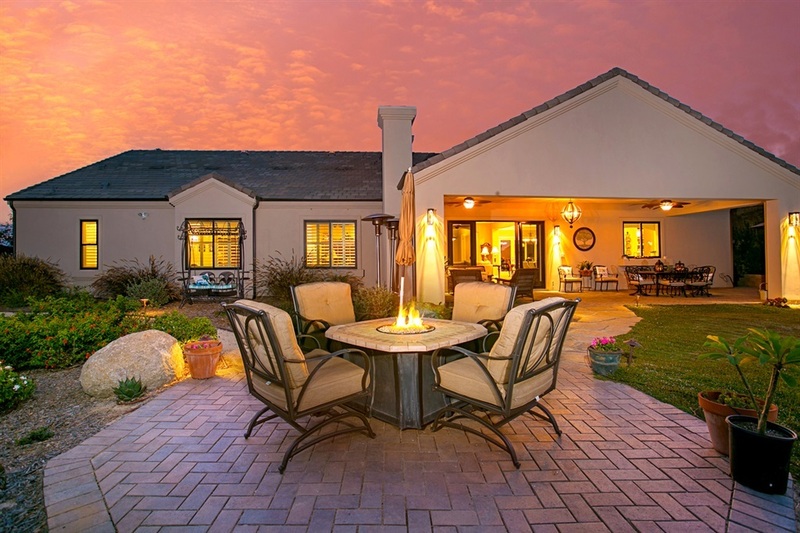 The outdoor areas provide the perfect backdrop for entertaining & comfortable family living. 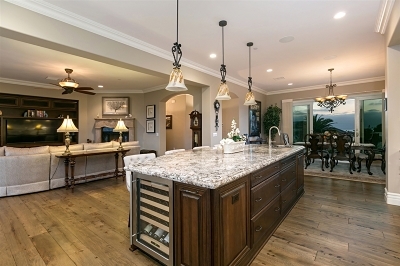 See Supplement for details..., This custom residence features 3,450 sq.ft. 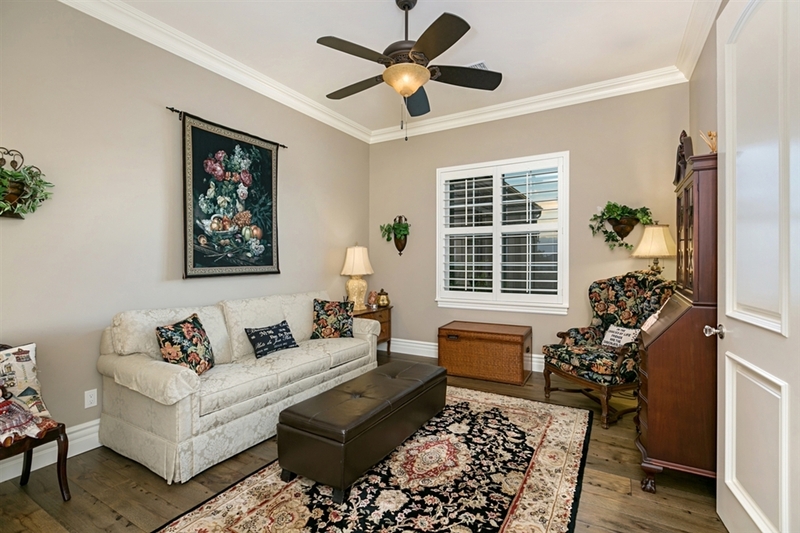 of gorgeous interior living space nestled atop almost 1 acre of land and beautifully outfitted with Plantation shutters, 7â baseboards, crown molding, unique light fixtures, and 100-year-old eastern oak hardwood floors throughout. This single story home lends architectural distinction that suit both family fun and sophisticated entertaining. 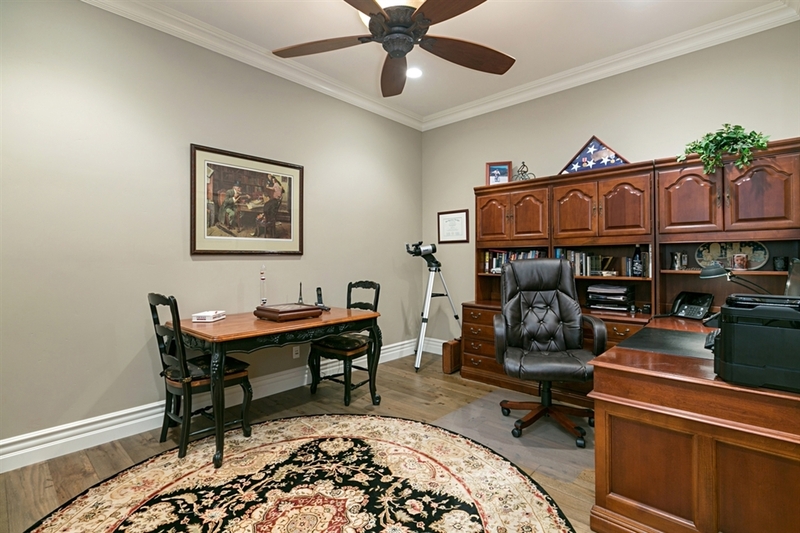 Constructed in 2015 and built by McCollough Development & Design, this offers all the comforts of a home â including 4 Bedrooms, 3.5 bathrooms and 1.5 spacious offices. 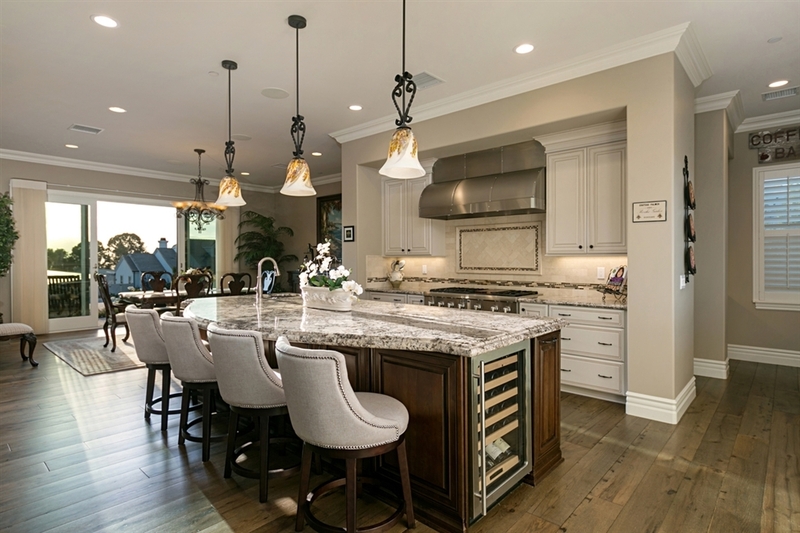 The gourmet kitchen is truly a chef's delight w/ top-of-the-line appliances, walk-in pantry, Fisher and Pykel dual dishwashers, Wolf double ovens and a wine storage cooler. 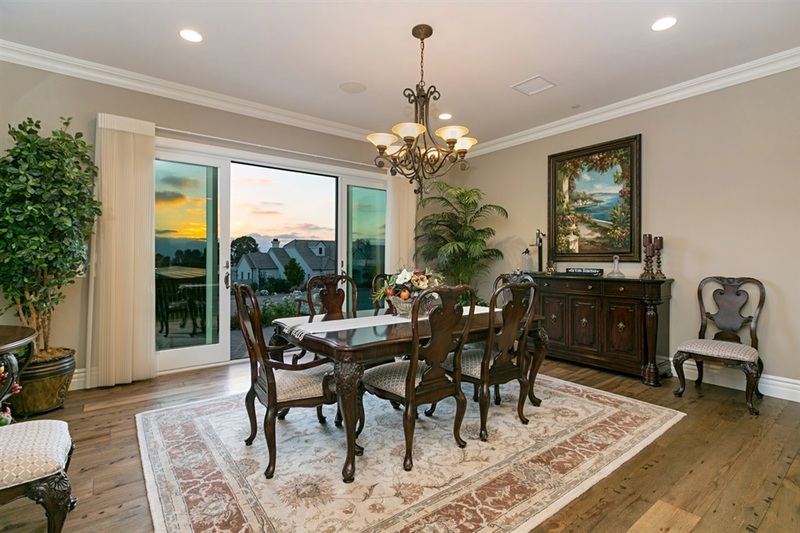 Sliding glass doors from the dining area bring the outdoors in and create a beautiful setting for hosting family and friends. 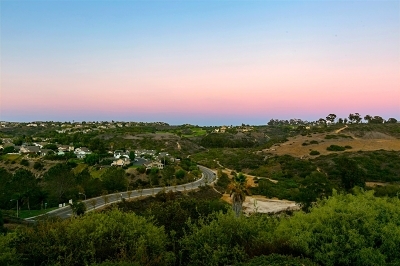 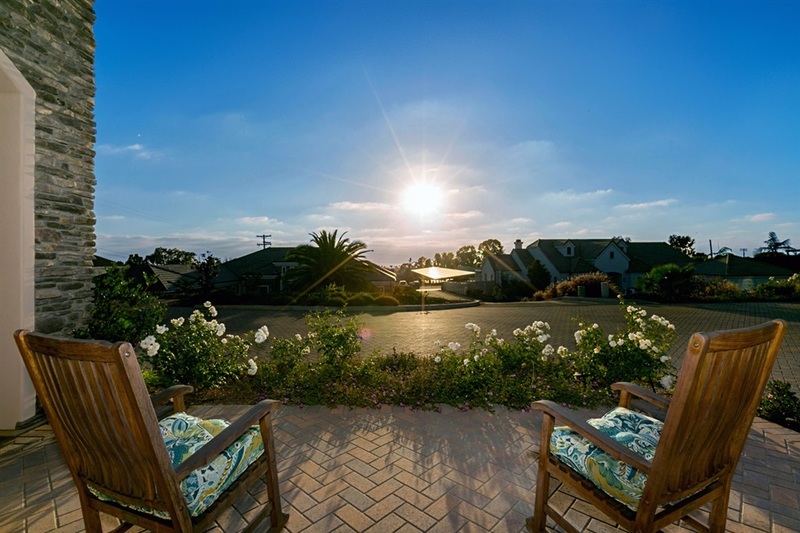 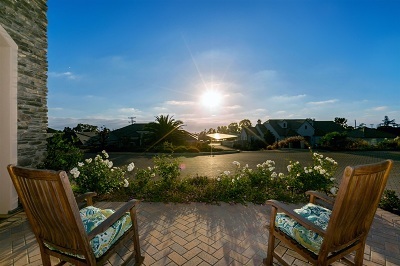 Indulge in peaceful and serene evenings as you enjoy beautiful westerly sunset views of the ocean, and gorgeous sunrise canyon/golf course views facing directly east. 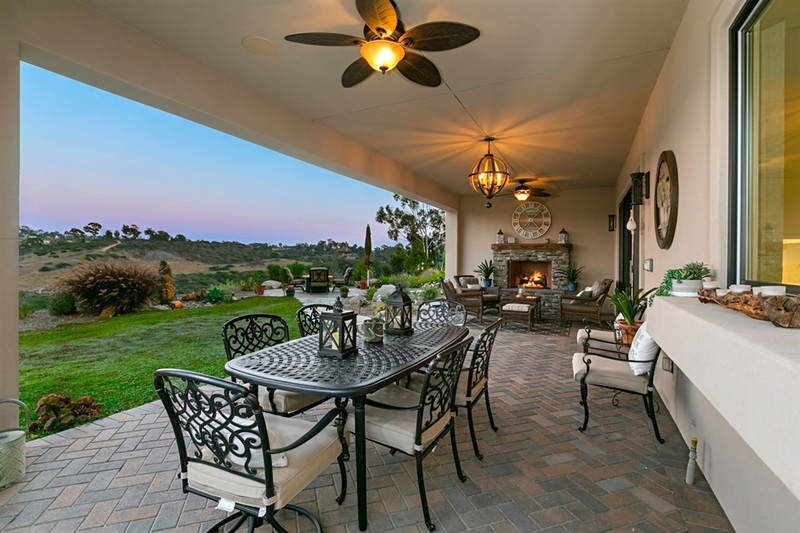 Surround sound system is wired throughout in-and-outdoor common areas including the great room, dining room, kitchen, and the California room. 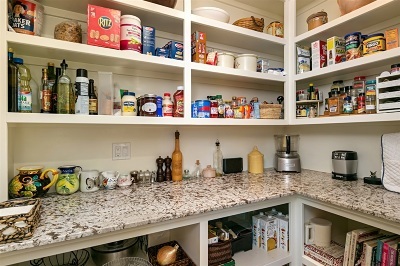 Each zone has its own volume control. 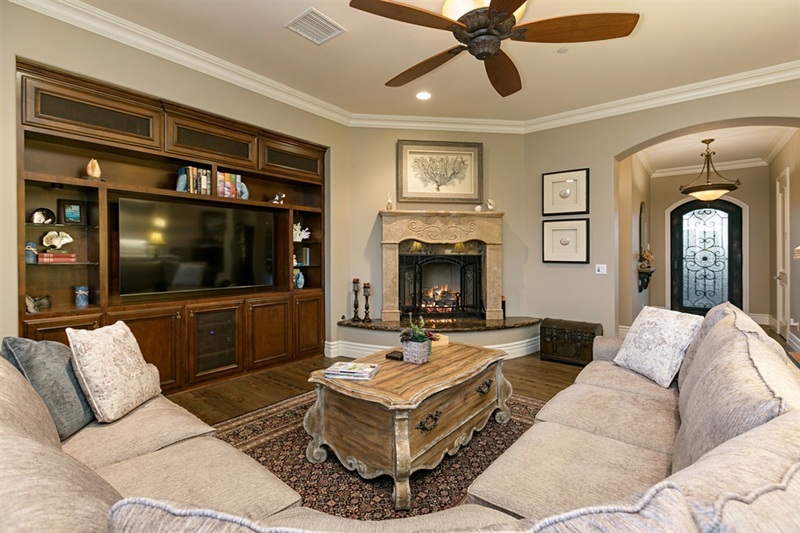 A spacious master retreat features a cozy alcove and beautiful canyon views. 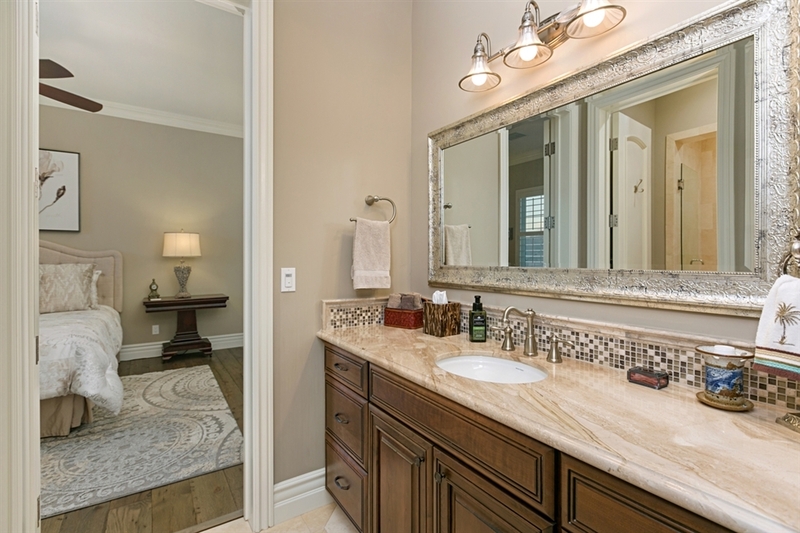 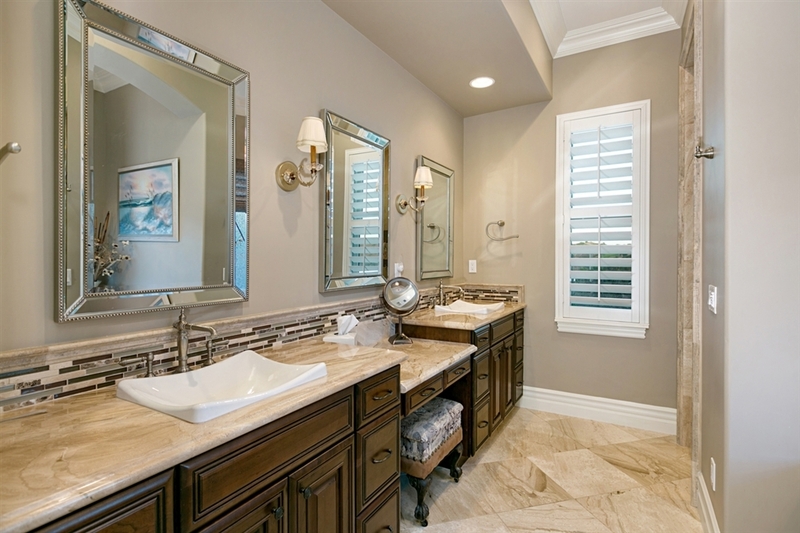 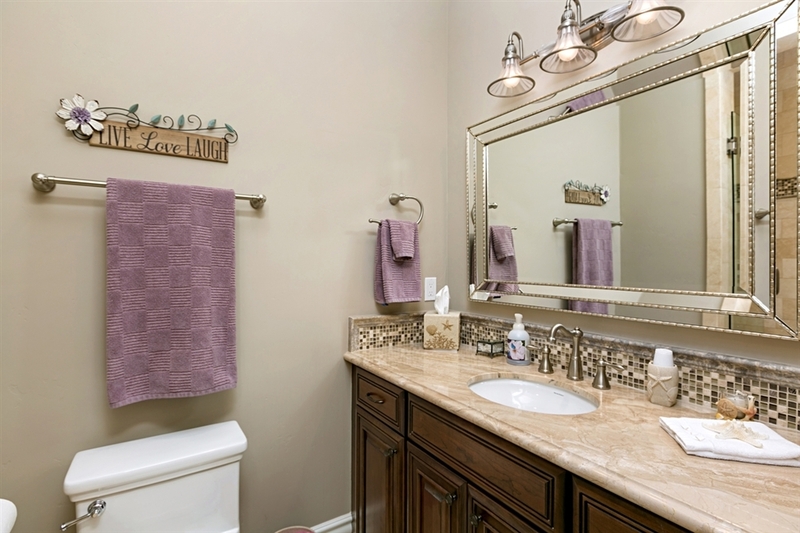 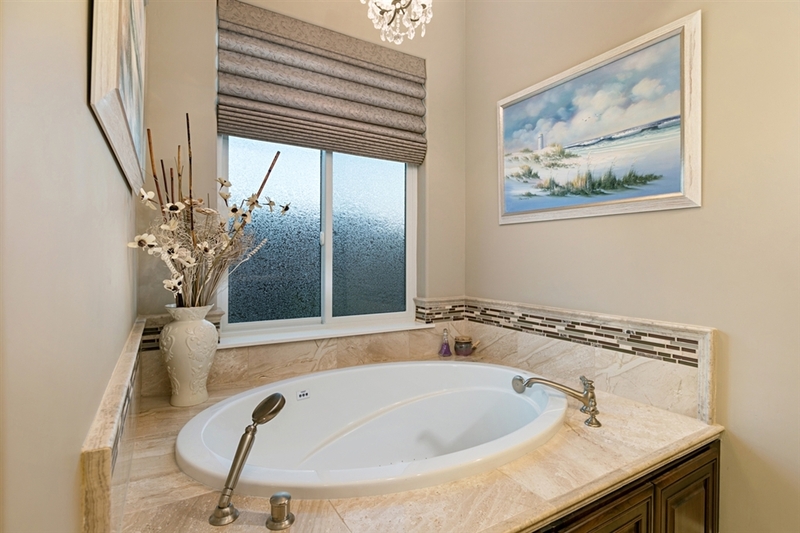 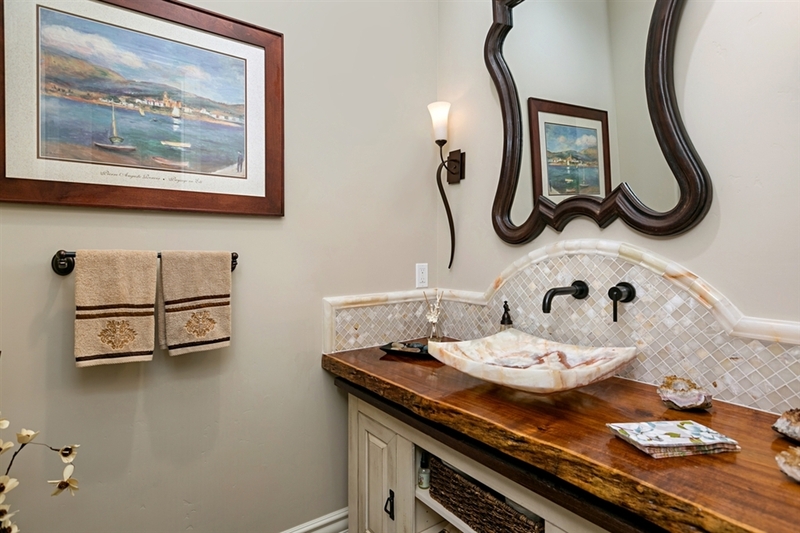 The master bath is fit for a King and Queen, featuring a walk in shower, jacuzzi tub and a huge walk-in closet. 3 large bedrooms (1-Ensuite and 2-Jack/Jill) Your spacious laundry room leads to an oversized 3 car garage with ample storage and cabinet space, a utility sink and garage doors that automatically dead bolt upon closing. 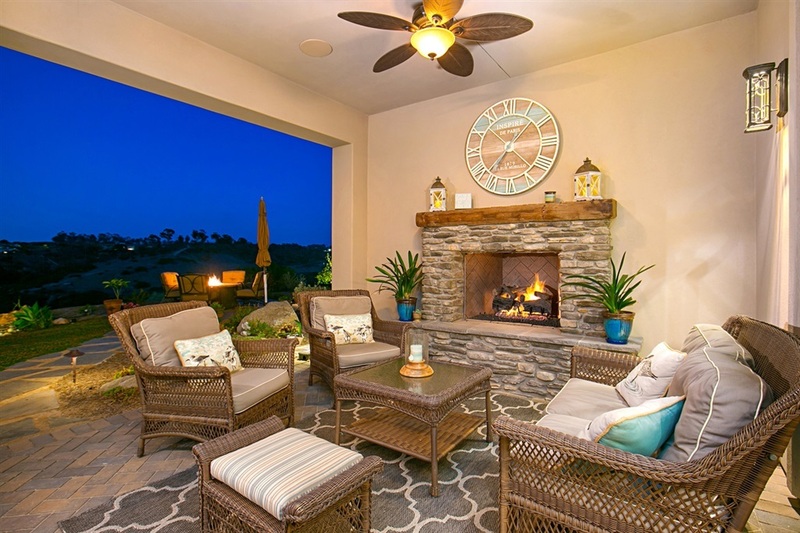 200-year-old mantle in the California room over the fireplace adds ambience and warmth to the outdoor area for all year round enjoyment. 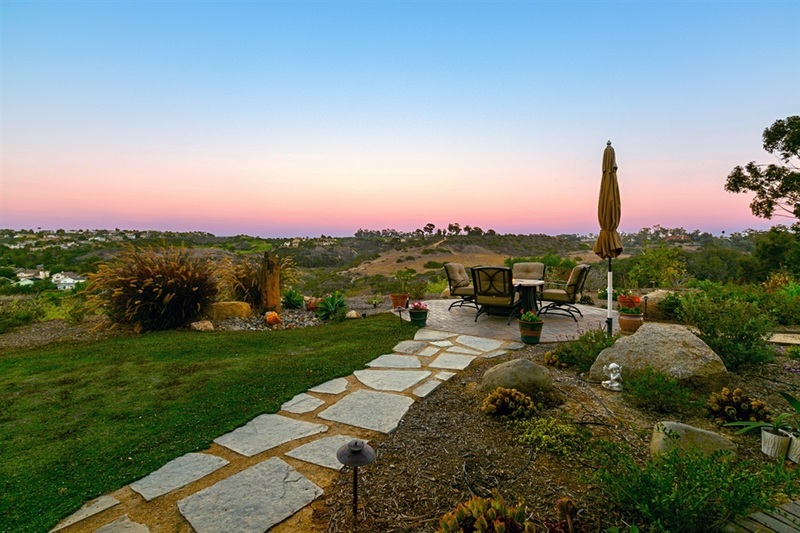 The backyard is large and very private with room for a pool. Low maintenance landscaping with 8 x 10 Storage shed for additional storage. 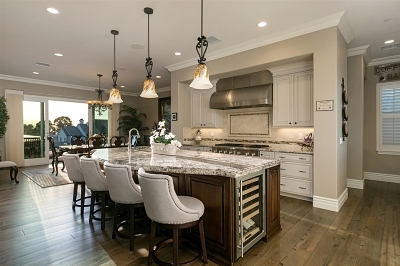 High class design provide the perfect retreat for entertaining and comfortable family living.